Why is Japanese Knotweed considered such a problem? 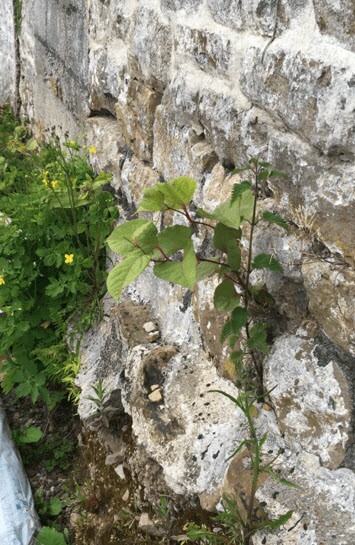 Japanese Knotweed is listed on schedule 9, part 2 of The Wildlife & Countryside Act 1981, making it an offence under section 14(2)(a) of the Act to ‘plant or otherwise cause it to grow in the wild’. It is an invasive and potentially destructive plant, that in certain conditions has the capacity to cause damage to poorly constructed and very old outbuildings, drains, paths, underground services, cause heave in tarmac or poorly laid concrete surfaces. Although aesthetically appealing, it is widely considered as the most invasive non-native species of plant within the UK & Ireland today. Originally introduced into Britain as an ornamental garden plant over 150 years ago, with no natural pesticide and being able to grow unhindered within poor soil conditions, due to its aggressive growth pattern it has been allowed to spread rapidly throughout the country at an alarming rate. Fully mature, it can grow up to 8’- 9’ and will supress the native vegetation whilst creating a rhizome network (root system), several metres both vertically and horizontally beneath the surface. 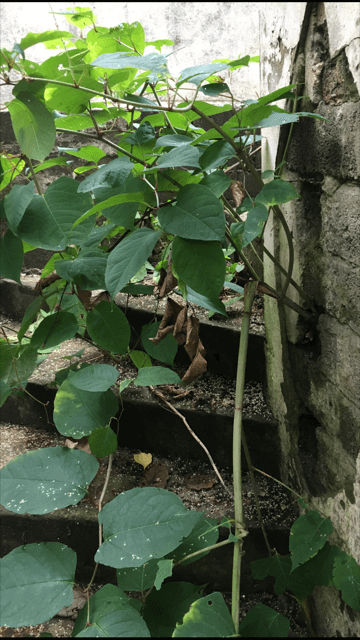 As a consequence of numerous cases having gained nationwide publicity in recent years, the existence of Japanese Knotweed on or close to a property is likely to have an unfavourable impact on future property sale / purchase. 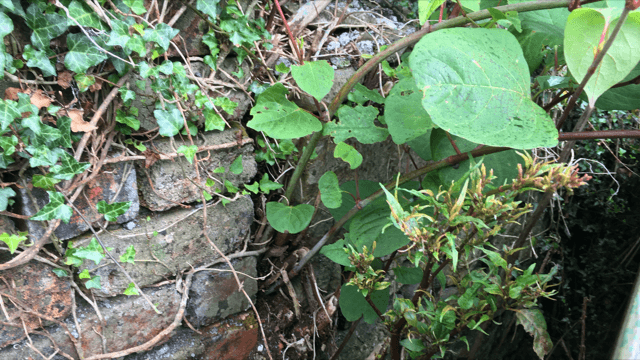 Potentially this may lead to added unforeseen costs, despite a recent study conducted jointly by Leeds University and AECOM which claims that there’s no evidence that Japanese Knotweed causes significant structural damage. Unfortunately, there is no one particular solution that will categorically ensure that every UK lender will endorse a mortgage application. Each UK mortgage lender sets their own policies when assessing applications whereby Japanese Knotweed is present on or close to the property for sale and it is fair to say there are a handful of mortgage lenders who have very stringent protocols in place. For example, we have first-hand experience of a particular mortgage lender declining an application when Japanese Knotweed was mentioned in a Homebuyers Report, despite the infestation being on adjacent land in excess of 20 metres away from the boundary and double the distance of any ‘permanent structure’ on the property. Conversely, there are other lenders who have adopted a more relaxed outlook and generally speaking, the majority of lenders policies would stipulate that at the minimum, a treatment plan (often referred to as a management plan – (click here for more details) be put in place by a suitably qualified contractor which can be supplemented by an Insurance Backed Guarantee (IBG), as a precursor to a mortgage application being considered. Should you have any thoughts of selling your home or another property, irrespective of how small the infestation we would strongly recommend you adopt a pro-active approach to having the infestation treated by a suitably qualified professional as early as possible, once positive identification has been confirmed. Conversely, we would advise anyone who is interested in purchasing a property affected by Japanese Knotweed to proceed as normal. Providing there is a treatment plan in place by a fully qualified & reputable contractor which also has a 10 year independently written Insurance Backed Guarantee (IBG), then there really is not a great deal to be concerned about. It may actually work out to your advantage in the negotiating phase! Be pro-active as opposed to reactive. It will undoubtedly pay dividends in the long term! (Obtained from RICS Professional Information, UK Japanese Knotweed and residential property 1st edition, information paper IP 27/2012). The below chart displays the criteria adopted by the Royal Institute of Chartered Surveyors (RICS) to assess the risk associated with Japanese Knotweed on residential property and would come into play as a consequence of a mortgage application being made to any individual lender within the UK. The mortgage lender would instigate a fully accredited chartered surveyor to conduct a Homebuyers Survey Report on the given property and should Japanese Knotweed be in existence the foregoing criteria would apply. This risk assessment takes into account the real risk to a property and addresses some of the concerns of the lenders and insurance companies. The term ‘habitable space’ refers to those parts of the subject property associated with daily living (including conservatories) and not ancillary spaces (such as outbuildings and/or garages). 4 Japanese Knotweed is within 7 metres of a habitable space, conservatory and/or garage, either within the boundaries of this property or in a neighbouring property or space; and/or Japanese Knotweed is causing serious damage to outbuildings, associated structures, drains, paths, boundary walls or fences and so on. 3 Although Japanese Knotweed is present within the boundaries of the property, it is more than 7 metres from a habitable space, conservatory and/or garage. If there is damage to outbuildings, associated structures, paths and boundary walls and fences, it is minor. 2 Japanese Knotweed was not seen within the boundaries of this property, but it was seen on a neighbouring property or land. Here, it was within 7 metres of the boundary, but more than 7 metres away from habitable space, conservatory and/or garage of the subject property. Any Japanese Knotweed graded under category 4 and 3 would evoke tension among the majority of mortgage lenders and in the main, an outright rejection of the mortgage application or at least the requirement of a management plan would be required for an agreement to be reached. Even so, as stated previously, the mortgage lenders implement their own ‘in house’ policies when assessing the risk. Naturally the mortgage lender has the final say and in the event of the mortgage application being unsuccessful (due to the Japanese Knotweed) the only remedy is to seek an alternate mortgage lender (unless a ‘cash buyer’ is involved in the transfer!). The irony is that although Japanese Knotweed (just like asbestos or damp would be an issue to any property owner / developer) has the capacity to be quite destructive, other plants such as Buddleia (being very commonplace throughout the UK) and Bamboo (less so) also possess the potential to be equally, if not increasingly problematic. To date however, the mortgage lenders appear to remain unconcerned, with Japanese Knotweed being considered the ‘solitary menace’. 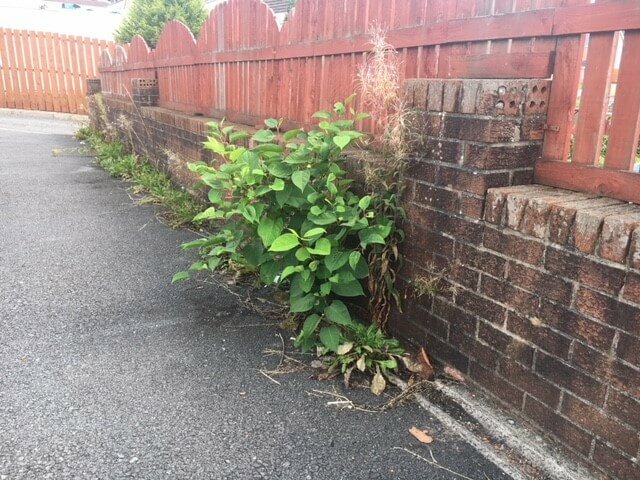 Whilst Japanese Knotweed is clearly an issue to property owners, we are very careful not to overstate or exaggerate the facts – The cases of Japanese Knotweed actually reaching a point whereby it causes substantial damage to property are thankfully, somewhat infrequent. Quite often, the root cause may well be due to other contributing factors such as poor construction, or not having been clinical in the ground clearing process beforehand. It will however, grow between concrete slabs and can ‘penetrate’ the cement that bonds bricks / stone in its quest for light and water by exploiting the ‘weakest’ point. A very subtle difference in terminology yet poles apart in reality. Furthermore, after establishing itself in the soil for a number of years, it can without exception take advantage of pre-existing fractures or weaknesses within a poorly constructed or fragmented old wall for example. It can also cause disruption to underground services (normally very old) and cause ‘heave’ to thinly laid tarmac. “It will grow through concrete” and “until it is gone, you won’t be able to sell the house” – That’s what we were told in 2010 by representatives of two companies who still operate in South Wales to this day. We even believed it for a while and came close to paying the extortionate fees they required in advance, without any guarantee of success. We have tried to explain in the foregoing paragraph in simple terms, what the plant is capable of. Yet “destabilise foundations / grow through solid concrete”? These statements are very misleading to say the least and regrettably, sometimes used by some less reputable contractors to cause anxiety to the property owner, with the ultimate objective being financial gain. There have been many occasions we have conducted a site assessment, only to be told by a startled client of a contractor making comparable assertions, or have read similar statements within the media or on-line. 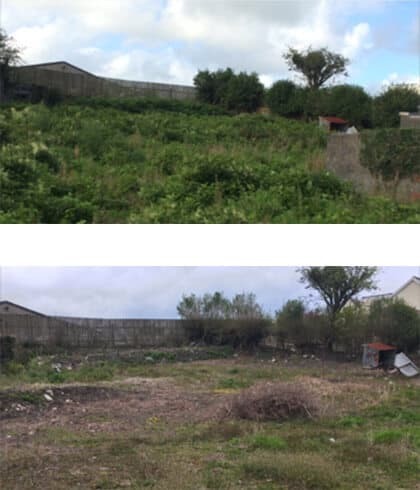 We will repeat what we always tell our client’s or prospective client’s – Having Japanese Knotweed on or close to your property is an issue you should swiftly seek to address, although it is not the big problem it’s often perceived to be or made out to be.